We offer a wide range of positions – follow the links on the right to see more details. But before you rush to apply, please check the General Requirements and How to Apply sections. Virtually all the positions require some level of sailing qualifications, and if you don’t possess the right certificates or experience, or don’t provide us with all the information we need, your application may fail at the first hurdle. You’d be amazed how many people forget vital information like contact details! If you are doing it right, the work is both highly satisfying and huge fun, with some character building challenges along the way! 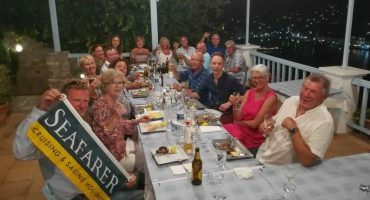 We’re not the smallest sailing holiday company but we’re not the biggest either, and that benefits our staff and clients alike. For our staff, this means you will become part of a small closely knit team, some of whom have done your job themselves. You’ll be known to everyone from our Managing Director downwards by name, not as just a number on the payroll. Many of the people you will be working with have years of experience in the sailing and travel industries, so for those that want to learn there are numerous opportunities to enhance your capabilities. For our guests, we aim to personalise our service, so they go home having not just had a holiday, but their best ever holiday. This means our staff being ready to go the extra mile and you’ll have the chance to develop not just your sailing ability, but your management and people skills too. If you’re happy taking responsibility, you’ll enjoy working with us. (Conversely, if you’re just looking for a paid holiday, or looking for an easy life, we’re not the employer for you). You won’t become a millionaire working for us (or in most jobs in this industry) but we want our staff to be the best and believe our highly competitive package reflects this. Accommodation on shore or afloat, depending on the position. Flotilla staff will generally live on one of our lead yachts. No matter your age, whether a career sailor or taking a career break, if you’re looking for work with a company that’s small enough to care but big enough to cope, read on to find out about the positions available and how to apply. All applicants must be over 18, in good health and well presented. You will need to be available for interview in London between November and March. All the jobs can involve long and sometimes antisocial hours and are most definitely not a holiday. You must have a flexible approach – from time to time you may be required to undertake duties outside your normal role, and this may involve dirty and hard physical work. 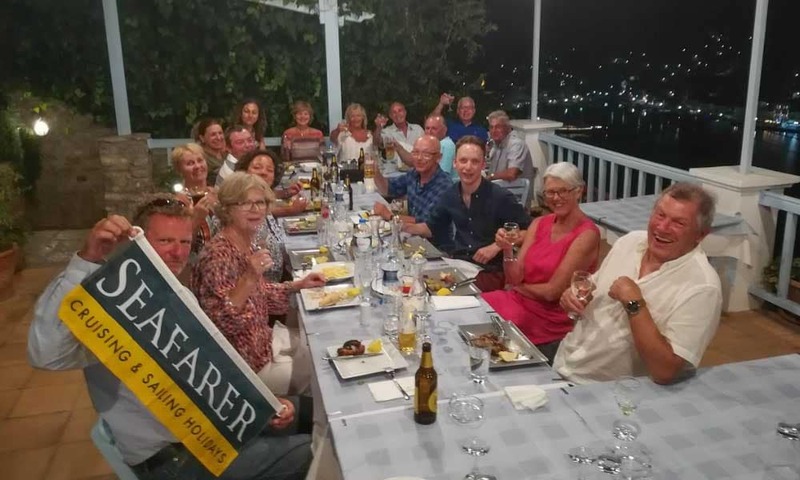 All positions involve daily face to face contact with our customers and you must be service focused, enthusiastic and sociable, with a determination to give our guests their best ever holiday. A flexible, mature and self disciplined approach to problem solving is essential and so applications are welcomed from all ages. It is vital you are patient; our clients have varied demands, expectations and skills. You are also required to socialise with clients of all age groups (including children) and from diverse backgrounds. All our Flotilla and Beach Clubs operate in English so foreign languages are not essential though they can be an asset. Most positions are for the whole season (April – October) though we also offer part season and short term assignments from time to time. We keep a register of staff interested in such posts so now is the time to apply. For our main recruitment period and to maximise your chance of success, applications should be submitted as soon as possible and no later than mid January 2018. However, opportunities do occur after this date so it is never too late submit an application, even if you do so during the season. We are happy to consider applications from couples but please make it clear on both CVs that you are seeking work together. We also welcome applications from all nationalities but note the positions are for work in EU countries such as Greece, Croatia, Spain and France as well as Turkey. Formalities are straightforward for British and EU nationals, however for other nationalities, positions will be subject to being able to obtain necessary work permits for you. 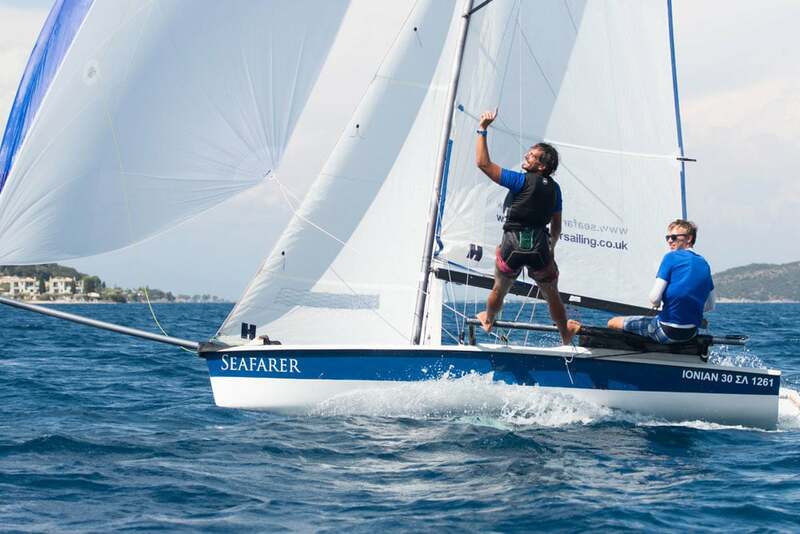 Virtually all positions require sailing qualifications. Please read the job descriptions carefully – applying for a job for which you are not qualified or suitably experienced wastes your time and ours. If you are looking for work on the larger cruise vessels featured on our Cruise website (www.seafarercruises.com) please note we do not recruit for these vessels ourselves and you will need to contact the operators direct. When drafting your CV, please remember we are interested in all your abilities, not just your sailing skills. Please also bear in mind that any false information provided by you at any point during your recruitment or employment may become grounds for dismissal. References are taken if you are offered a position and we are obliged to request criminal records checks also. The positions we offer are a great opportunity for those making a career in the sailing or travel industries. So, if you relish the chance to put a smile on peoples faces, and want to experience life working abroad, we’d like to hear from you. But to ensure we get all the information we need, please read the ‘How To Apply’ section carefully before submitting your application. Please read the job descriptions before applying. We prefer applications by email. If you wish to apply for any of the positions, or to join our register for occasional work, we need your CV and a short covering letter. Please keep your CV to 2 pages maximum. Interviews will be held in London between November and March. We regret we are unable to pay expenses for the interview round and we rarely recruit staff without meeting face to face. Successful candidates will receive training at one of our bases prior to the season start. We will acknowledge receipt of your emailed CV within two weeks. If you have not had a reply by then, please resend as we may not have received your application. We do not acknowledge receipt of postal applications. It can take time for us to review CVs so please be patient – we do not normally commence interviews until November. Calls and emails to establish the state of your application merely slow us down. If you do have any queries, email is much preferred to phone calls. If you are invited for interview, this will usually consist of a group session followed by an individual interview. If we are not able to offer you a position immediately, we may place you on our reserves list. As sales progress and we are better able to identify our staffing requirements, we are usually able to offer the majority of the reserves a position. From time to time we employ additional staff on short contracts (typically 1 to 3 weeks) to cover staff sickness and peak demands. Most of this work is for yacht skippers, either for flotilla or charter work, or for RYA Course Instruction (Competent Crew & Day Skipper), though it can also include Dinghy Instructors and yacht first mates/hostesses. Much of this work arises at short notice and we keep a register of those who may be interested. Requirements for this work are as per the appropriate vacancy pages. If you’d like to be considered for such work, please supply a CV and other details as on the How To Apply page, noting your minimum daily/weekly rate and expected country location for the summer (if known). If you’ve previously registered with us and wish to remain on the list for 2019, we’d appreciate a refresh of your details – especially if you telephone and/or email details have changed. Our Flotilla Skippers are in many ways our local managers, ensuring all aspects of clients holidays are delivered to the highest standard. This is much more than just a sailing job; we’re looking for people with personality, management and organisational skills, plus the ability to use their initiative to get things done and resolve local issues. You will be responsible for running a flotilla of up to a maximum of 12 yachts. Assisted by your first mate, you will lead initial and daily client briefings, covering all aspects of their holidays, including technical yacht briefings, safety matters, navigation, and cruise itineraries. You will assist clients with berthing and departing port, and ensure their satisfaction and welfare throughout the trip, including leading social events. As with all our vacancies, this is a hands on position and you will also assist in preparing the yachts on turnaround days. You will manage local spend to budget and submit weekly accounts and flotilla reports to Head Office. 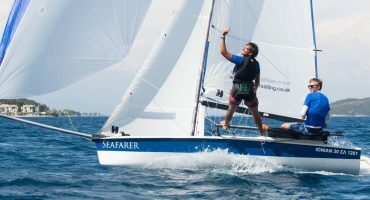 You will be qualified to RYA Yachtmaster Offshore level, with Commercial Endorsement, preferably with previous professional skippering or flotilla experience. You must have a sound working knowledge of practical sailing skills and yacht systems (including engines, sails, rigging and general yacht maintenance), with an ability to share this knowledge clearly. The position includes responsibility for assisting clients on flotilla yachts with any technical issues that may arise whilst away from base, with the aim of solving problems quickly wherever possible. 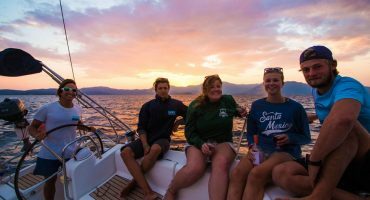 This is a superb opportunity to broaden your skills, whether you’re building a career in the sailing or travel industries, or taking a career break. Flotilla Engineers and Mates enjoy a diverse role. Primarily responsible for day to day maintenance and running repairs to the fleet of yachts, you will also assist both the skipper and the Host/Hostess with their tasks, including preparation of the yachts on turnaround day. You will take part in client briefings and those with appropriate sailing skills may also provide informal sailing instruction on board clients’ yachts, as well as undertaking yacht deliveries. You will maintain the tools and replenish spares, taking responsibility for any associated spending. You will participate fully in flotilla social events and must be clean and presentable. You will ideally have previous experience of yacht maintenance and marine systems, including engines, electrics, electronics and plumbing. You will be eager to further your knowledge and as a minimum have a mechanical bent with a basic understanding of electrical theory. 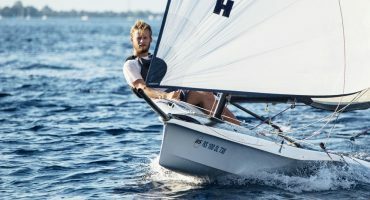 Sailing qualifications to Coastal Skipper would be advantageous though not essential. and as a minimum, you must hold an RYA Day Skipper certificate. Most positions are for the duration of the season. Your main role is that of social organiser. This will include briefing clients daily on the facilities available at each port, and organising group meals and excursions to local points of interest. 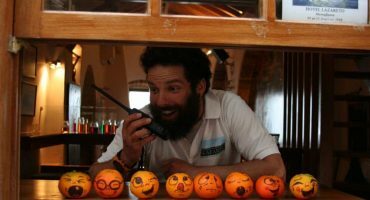 Once a week you will prepare a simple Punch Party, and once a fortnight you will organise and prepare a meal for the guests at the Beach Party, albeit with the help of your skipper. You will be on hand to assist with mooring of flotilla yachts each day and be friendly and sociable as well as an information source for your guests. On turnaround days you will work with the rest of the flotilla crew to check and prepare yachts. The latter will include providing grocery welcome packs for each boat, and ensuring the lead boat is provisioned. You will also liaise with our local agents to ensure transfers of clients between the airport and our base run smoothly. Throughout, you will be required to account for all funds you spend. You need to be an energetic, diplomatic and responsible individual, with a sense of fun and good organisational skills. You must be able to manage your own work and be confident in front of clients. Sailing qualifications are useful though not essential but you should have experience in line with RYA Competent Crew or above. For 1st Mates who do a full season, we will provide RYA Day Skipper with Seafarer Training. 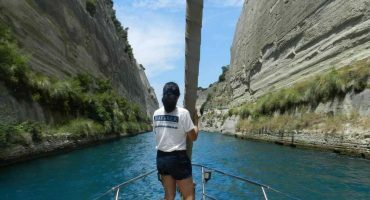 As a crew of 2, you will run one week and two week cruises, mainly around the Cyclades and Ionian isles of Greece on yachts of around 50 feet. The cruises will be a mixture of private charters and mixed groups on cabin charter, the latter following set itineraries, who may wish to take part in sailing the yacht. You will be responsible for all aspects of the operation and maintenance of the yacht, including provisioning, providing breakfast and lunch on board daily, organising laundry, cleaning and undertaking any necessary running repairs and routine servicing. You will be used to, or comfortable operating quite independently for things like provisioning, laundry and deciding on the itinerary and keeping guests informed, where management of these wider aspects of the operation are as important as the sailing. You will be need to deliver the programme to budget and will submit weekly reports to Head Office of expenses, plus the itinerary etc. The Skipper must be minimum RYA Yacht Master with Commercial Endorsement and have previous commercial skippering experience of at least 3000 miles. You will have past experience of skippering yachts of similar size in rough weather. 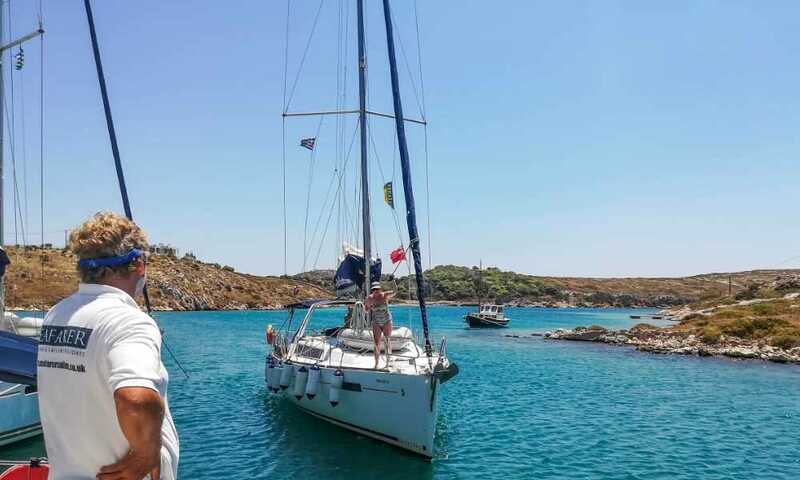 The Cyclades is a challenging sailing areas and the role is not suitable for newly qualified skippers. The 1st Mate / Hostess must have previous crewing experience, be qualified at least to RYA Competent Crew level and proven catering skills, including the ability to cater whilst underway. Crew accommodation is in a shared cabin so the positions are best suited to established couples. Most positions are for the duration of the season. 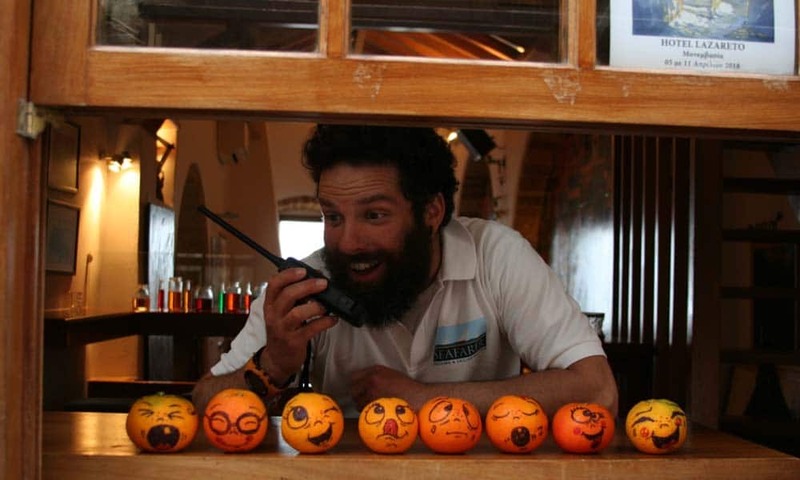 Seafarer is always looking for RYA Dinghy, Windsurf and Powerboat Instructors to work in our Beach Clubs in Greece. You’ll be working as part of a small team of hardworking and dedicated instructors who have a real love for the sports they teach. 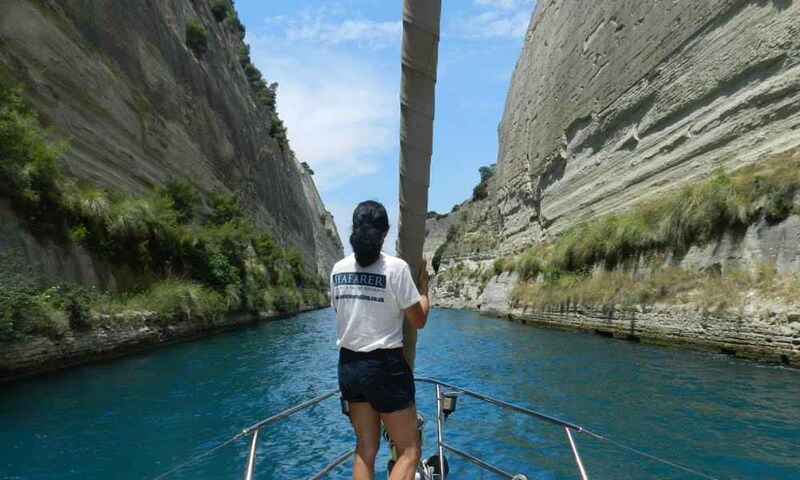 We offer industry leading pay and perks and an opportunity to progress as an instructor both in Greece and the UK. Full Season roles are available from late April till early October and peak season late June till early September. Note we are not currently accepting peak season applications. Dinghy Instructors should hold the RYA Dinghy Instructor Certificate and if possible be Mulihull Endorsed, an Advanced Instructor or a Race Coach. We also look for people to have done at least a season of instructing already either in Britain or Abroad. 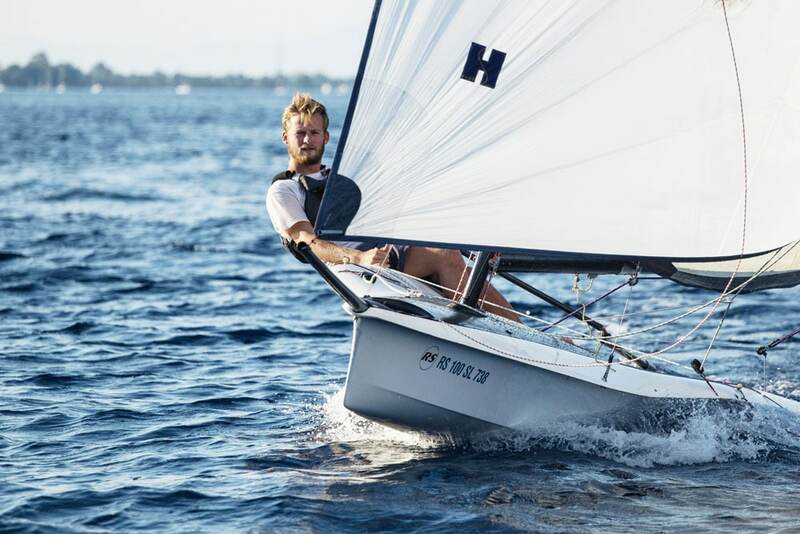 Experience sailing and racing High-Performance Dinghys and Skiffs are very desirable. Windsurf Instructors (unless dual-qualified) should hold their Intermediate Non-Planing Instructor Certificate and Powerboat Instructors need to hold an instructors qualification in Sailing or Windsurfing. The role will include tuition (both RYA and Clinics), helping guests, safety boating and taking part in the social life of the resort. Take a look at Nikiana Beach Club to see the courses we run and the kit we have to play with. 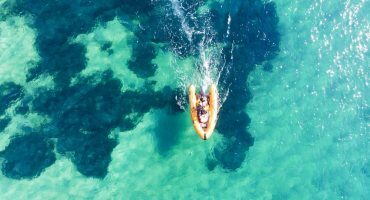 These are more senior positions encompassing all the requirements of our Watersports Instructors, but with additional responsibilities: As well as carrying out training, you will oversee the water sports team and plan and manage the operation in compliance with the standards laid down by the RYA. You will ensure clients’ well being, particularly with regard to Health and Safety, and achieve high levels of client satisfaction. 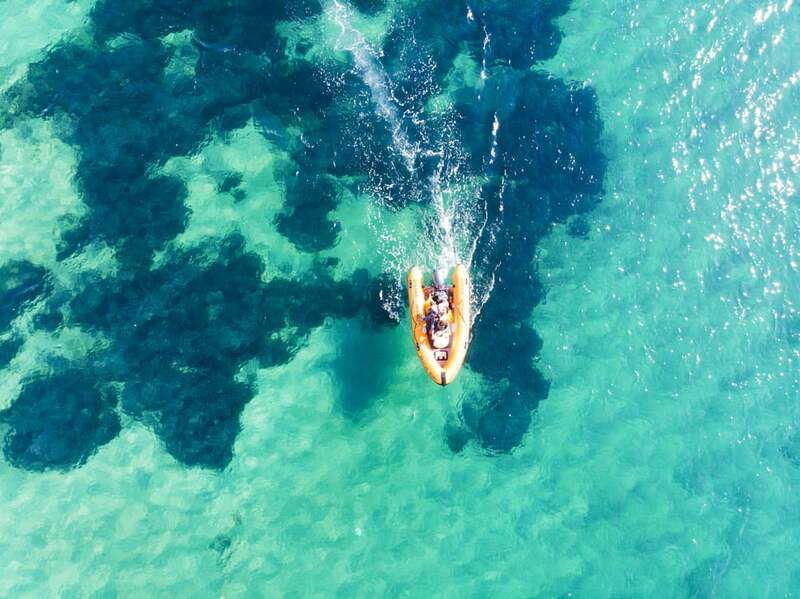 You will be responsible for ensuring the upkeep of daily maintenance logs amongst others and take a lead in beach briefings and social events. You will ideally have proven management or supervisory experience and will have fulfilled a similar role previously. As the centre Senior you will report directly to the Centre Manager. Candidates must hold a current RYA Senior Dinghy or Windsurf qualification and an up to date First Aid certificate. To provide yacht tuition and sailing experience trips for guests at our Beach Club, including assisting with selling these courses. 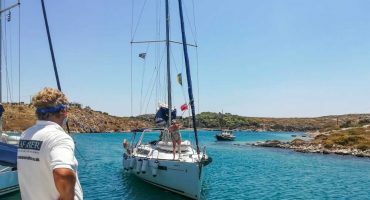 The role may also include skippering charters from various locations in Greece and providing instruction for clients sailing with our flotillas. You must be a Yacht Master with Commercial Endorsement. An RYA Cruising Instructor certificate would be advantageous though there may be the opportunity to obtain this as the season progresses. You must have some previous instructing experience, preferably on yachts but we would consider other teaching/tutoring backgrounds. You’ll need good personal skills and be used to getting along with others, as you will be living on board a yacht with clients for part of the time. Those with dinghy and/or windsurf instructing certificates may also have the opportunity to keep their hand in, though these qualification are not essential. In addition to running yacht training and yacht trips for clients staying at our beach club, you will have responsibility for looking after your yacht, keeping it clean and carrying out routine maintenance. We are looking to recruit RYA cruising instructors for our RYA training centres in Greece and Croatia. As well as holding all the required qualifications, we are particularly keen on those who have previous flotilla skippering experience and a broad knowledge of small boat systems, including electrics, plumbing, diesel & outboard maintenance and sail repair. 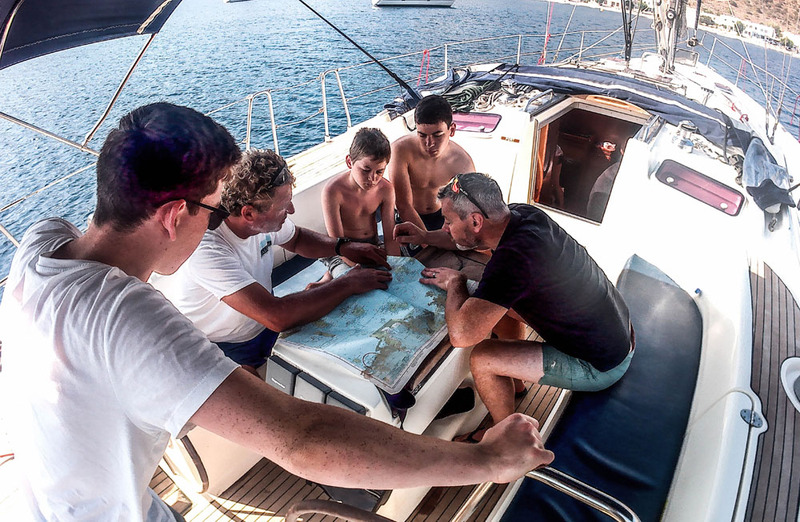 Your role will be the delivery of RYA yachting courses to a maximum of 5 students per week, from Start yachting to Day Skipper level on both shared berth tuition yachts and private instruction for flotilla and bareboat clients. You will also be responsible for a weekly budget, and preparing weekly reports for head office. 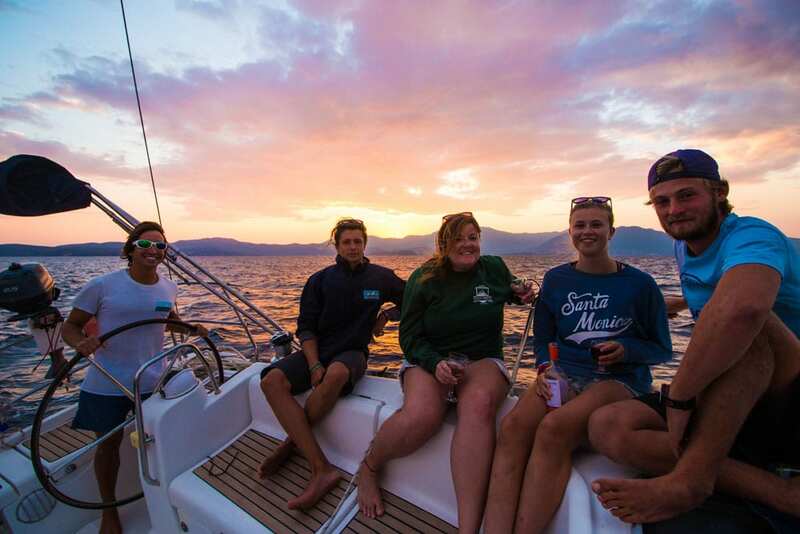 Our courses are run alongside our flotilla program, and our tuition yachts generally follow the same route as the flotilla, giving students the chance to join in with flotilla activities in the evenings. Courses are run over a full week, which gives plenty of time to complete the full syllabus, as well as providing ample time to enjoy the area with regular swim stops, etc. These are full season positions (April to October) and generally you would be on the water for 4 out of 5 weeks. Flexibility is required, and cruising instructors are expected to assist the flotilla and base teams with yacht preparation, victualling and assist clients (both students and flotilla clients) whilst out on the water. RYA Yachtmaster Offshore with Commercial and Cruising Instructor endorsements.